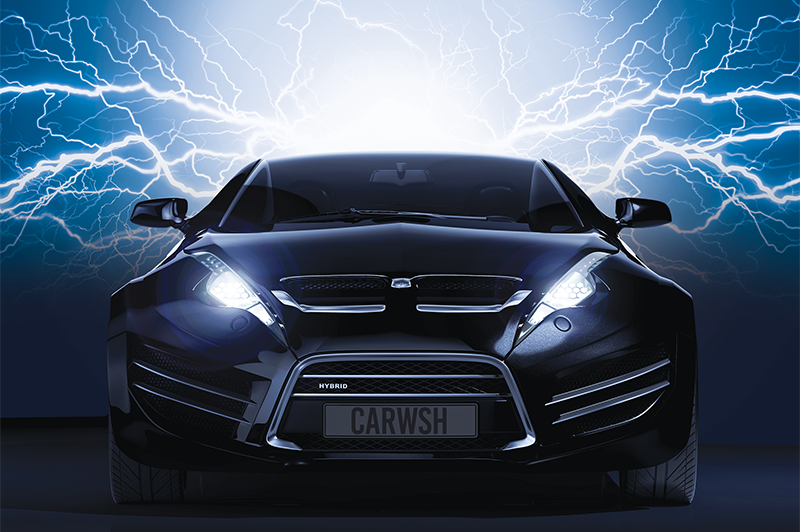 How technology helps carwash owners curtail energy use as utility prices surge. When it comes to the daily operation of a carwash, some of the biggest profit busters an owner can encounter are expensive utility bills. Today’s technology-packed carwashes include multiple wash and rinse cycles, and many tunnels incorporate numerous pieces of equipment. Nearly every phase of an automated carwash depends on large amounts of electricity, water or other resources to provide perfect results. Unfortunately for carwash operators, the costs associated with using these resources continues to climb. Many states — and even many countries — are struggling to procure enough water for their citizens as well as for business use. Generating electricity safely and responsibly is another subject of concern in many areas. Though the energy infrastructure is stable in the U.S., the price of energy usage has proven to be anything but, especially for business accounts. Fortunately for carwash operators, there are a number of areas where a business can positively affect its use of energy and other resources. Making upgrades to wash equipment as well as other steps can provide significant savings. Newer wash technologies that drive this ever-important efficiency can be added in different wash areas, and the lineup includes energy-saving variable frequency drives (VFDs), new site lighting choices as well as other options. Are modern carwashes more energy efficient today compared to the washes of the past? Scott Fausneaucht with Guardian Control Systems, a division of Tommy Car Wash Systems, states that this is a difficult question to answer. 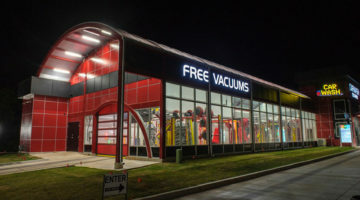 The subject is hard to address with a broad statement, mainly because carwash sites today are all different from the standpoint of the equipment installed and the energy used. Still, as a whole, Fausneaucht thinks today’s systems are generally more energy efficient when compared to those utilized 10 or more years ago. Fausneaucht points out a few areas where modern carwashes can make use of new equipment to save energy compared to the washes of yesteryear. First, tunnels can now call on VFDs and electric motors designed for more efficient energy use. Next, LED lighting offers the opportunity to replace incandescent and HID fixtures to improve lighting with less electricity. One piece of equipment where VFDs have become commonplace is the carwash dryer. Richard Flores, president of Proto-Vest Inc., shares that it is no secret that carwash equipment consumes large amounts of energy. Typically, the dryer system uses the most electricity. As such, some manufacturers have designed sophisticated product options to greatly reduce horsepower requirements without sacrificing dryer performance. The most effective ways to reduce energy costs are probably not easy, and they will require an investment, Fausneaucht notes. Even so, these upgrades will pay off over a longer analysis period. Also, many local utilities may offer financial assistance when carwashes install or upgrade their electrical systems to include energy-saving measures. Fausneaucht strongly recommends an operator develop a working relationship with a qualified electrical contractor. The contractor should be trained in industrial control systems and know how to maintain, service and install this technology. Typically, because of the level of automation and control in today’s advanced carwashes, the carwash owner, manager or even the maintenance staff may not have the training necessary to support and maintain a wash’s electrical controls. LED lighting technology is another opportunity for carwash owners to increase performance while lowering energy requirements. Michael Call, vice president of sales and marketing for Mile High LED Systems, states that LED lighting design for carwashes is evolving. Power savings. Finding the most efficient light is the number one factor when it comes to saving a carwash operator money, Call explains. The higher the efficacy or lumens delivered per watt of power — lumens per watt — the less money that will be spent to operate the light. Lumen output. Determining the amount of light needed can be challenging and confusing, Call states. For new carwash builds, an operator should perform a photometric plan for the entire site and strive to limit the disparity between the darkest and brightest point of a location. Net cost of the product upgrade. 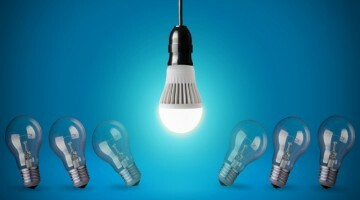 Call recalls that three cost factors are included in any LED upgrade: product cost, installation costs and utility rebates, if any exist in an area. Completing LED light upgrades in increments can result in a location looking patchy with different color temperatures present, according to Call. Ideally, LED replacements are done all at once to ensure a uniform look across the wash site. However, this is not always possible or realistic. Here are some factors to consider when installing replacement fixtures. First, start with the highest existing wattage locations, as these currently cost the most to operate. Call notes that operators often do this in reverse and start with “easier to reach” locations that have smaller wattage uses — replacing wall packs instead of pole lights, for example. To speed the return on investment, an operator should start by replacing the largest power users first. Next, Call states that not all LED fixtures are created equal. To find quality LEDs, a carwash owner should look to additional factors beyond efficacy and net product cost. This includes design qualities such as thermal management devices, LED chip types, LED design, high- versus low-voltage units, LED rated life and product warranties. Thermal management devices, like fans and automated wattage adjustments, sound like a great idea until an owner learns that these are tools used to maintain the right heat within a fixture. A light that has thermal controls means that after 20 to 30 minutes of operation, the light heats up and dims to keep cool, Call reveals. The fixtures’ fans are not reliable and can break, resulting in a much shorter LED life. Next, not all LED chips are created equal. “If the LED chip manufacturer is not disclosed, be wary of the light,” Call advises. Be sure to buy an LED designed for the carwash or similar application. If a wash is upgrading a wall pack or a canopy, buy a light that is single-sided and will produce light only where needed. The 360-degree upgrade kits produce light that needs to be reflected out of a fixture, resulting in a major reduction in delivered lumens and requiring a higher output light to achieve the same lumens delivered, according to Call. As a result, the operating cost can be double or triple the cost of a single-sided LED upgrade kit for comparable light output. For existing locations that are looking to upgrade to LED lighting, each carwash operator should evaluate new LED installation expenses, aesthetic change considerations and LED product costs when making their upgrades, Call notes. An owner may be happy with wall packs and not want to spend the added money to move lights from the walls to the ceilings. In that case, upgrade kits make the most sense. Other existing operators may want a fresh look, and a linear or high-power canopy solution may meet their cosmetic change goals while reaping the power savings from LED upgrades. For new builds and comprehensive remodels, the standard previously was wall packs in tunnels and bays at a lighting level that provided security and basic lighting, according to Call. The current trend is to increase the light delivered and reduce shadows and dark spots in order to make the environment feel safer and more appealing. Optimal tunnel and bay foot-candle coverage is moving from 15- to 20-foot candles to 40- to 50-foot candles or more. Lights are being moved from the walls to ceilings and canopies to improve light distribution and eliminate shadows. Phil Ashland is a freelance contributor.